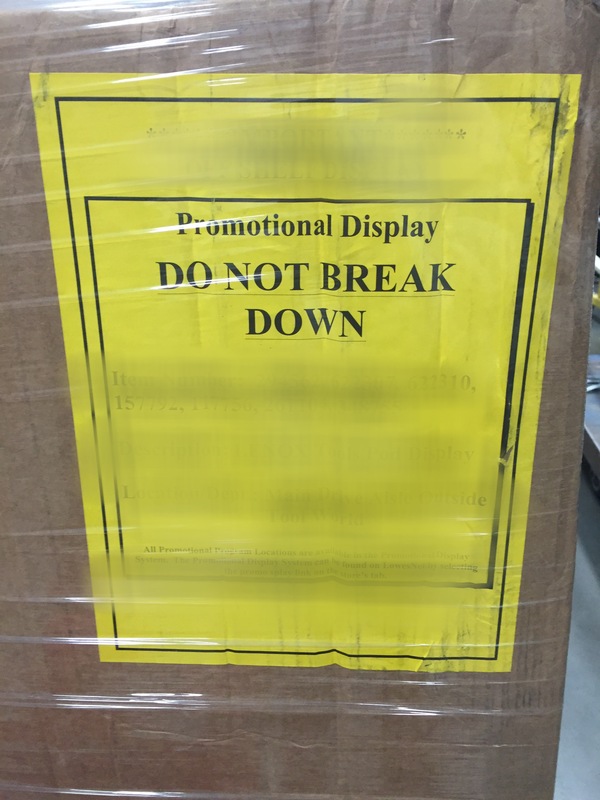 I saw this sign this morning when I walked into Lowes to pick up a couple things for the office. These are the words you tell yourself and mental signs you place all over your life. I get it. I do the same thing. There are times when it is important to put the overflowing emotions at bay and focus on what needs to happen right now. It is a means of survival and forward motion. However, when it comes to your relationship God, you NEVER have to do this. In fact, trying to “not break down” in front of God, hinders your relationship with Him. It is pride or it is fear and neither have any place before your amazing God. He is the place to come when you can’t hold it together. He is the Father’s arms that will hold you, the Saviors heart that will heal you, the Spirit’s comfort that you need the most. You don’t have to be strong for God. Go ahead and break down before Him. “But he said to me, “My grace is sufficient for you, for my power is made perfect in weakness.” Therefore I will boast all the more gladly about my weaknesses, so that Christ’s power may rest on me.